Vernon Wohnhas (American 1909-2008). 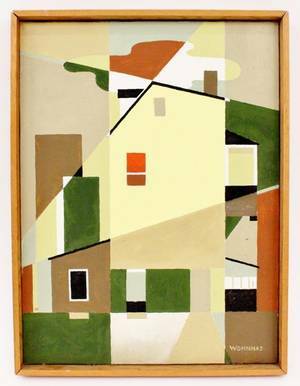 Oil on canvas painting depicting an angled view of a home or building in shades of green, yellow, brown, grey, and white. Signed lower right. Framed 16.6" x 16.7". 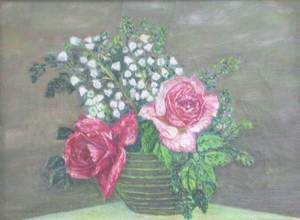 Unframed 16" x 12". Provenance: From the Collection of Walter and Alice Glenn, Alpharetta, Georgia.